A hop, skip, and a ferry ride away, Bainbridge Island is a perfect walk-on day trip from Seattle. You can drive your car on the ferry if you want to explore the whole island, which is definitely recommended, but there’s a simple beauty in hoofing it. The crossing is gorgeous and brief. I like to stand on the outdoor decks of the ferry and snap pics for my Instagram or just take in the views of Seattle, Elliott Bay, West Seattle, Mt. Rainier, and the looming white-capped Olympic Mountains to the west. The Seattle-Bainbridge ferry departs from the waterfront adjacent to Pioneer Square several times throughout the day, roughly every hour. Check out the schedule online for exact times. Walk or drive on; walk-on passengers are only charged one way, and pay when they leave Seattle. Stepping off the ferry, turn left at the terminal, find the Waterfront Trail, and take it to Waterfront Park before heading up to Winslow Way where restaurants, shops, cafes, and bakeries await. The whole vibe of Bainbridge is chill and super green — even for the already amazingly green Western Washington, Bainbridge has an impressive amount of tree cover. By car, the relatively small island opens up like a Hood Canal oyster. Fort Ward Park, Gazzam Lake Preserve, and the Bloedel Reserve are local favorites for exploring wild spaces on Bainbridge. Eat and drink: Visit the Bainbridge Island Farmers Market every Saturday (9am – 1pm, March 26 – Dec 17). It’s within easy walking distance of the ferry and is surrounded by food and drink options running the gamut from locally sourced dishes prepared in a contemporary bistro at Restaurant Marché to classic breakfasts like corned beef hash and eggs Benedict served in a historic dining car at The Madison Diner. Other places to check out include Mora Ice Cream and Hitchcock Deli; also in the immediate vicinity are a couple of wine bars, bakeries, Mexican restaurants, crêpe places, diners, and an ale house for good measure. Come hungry. 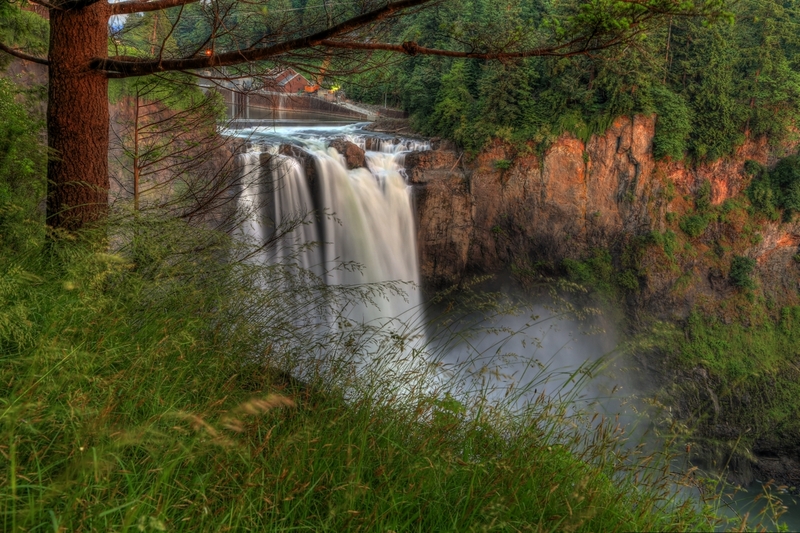 Whether you’re on your way to Snoqualmie Pass for a day on the slopes at The Summit ski resort, or you’re heading out to see the awesome aquatic outpouring of Snoqualmie Falls, this is a relatively short and scenic drive from Seattle. The journey on I-90 takes you away from the city, across Lake Washington, and into the forests and crags of the Cascade Range. Speaking of cascades — that’s exactly what the Snoqualmie River does as it reaches the falls and plunges 270 feet in a roaring torrent (just as you might remember it from the opening of Twin Peaks). On sunny days, a rainbow arches through the veil of spray flung up by the waterfall. Parking and viewing are free. Keep driving up I-90, and soon after the falls and the city of North Bend you’ll begin to climb into the Cascades. If it’s winter, check weather conditions and be prepared for heavy snow (if it’s snowy, don’t even think about continuing without chains). The Cascade Range bisects the state, creating distinct worlds: the wet green landscape of Western Washington and the comparatively dry Columbia Plateau — home to sagebrush and grasslands — that stretches to the east. The drive to Snoqualmie Pass is a wonderful way to acquaint yourself with Washington’s mountainous terrain and straddle the line between these two contrasting sides of the state. Join a tour: If you don’t have wheels, you can book a 4-hour tour through Viator for about $70 (not including tip). Pick-up is at Pike Place Market, and they throw in a stop at the Ballard Locks and the Fremont Troll, because what the hell — you’re in Seattle! Take a ski shuttle: The powder is fresh and less than two hours from downtown Seattle. The Summit at Snoqualmie is the easiest way to be skiing or riding (or sledding!) if you’re in Seattle during the winter months. 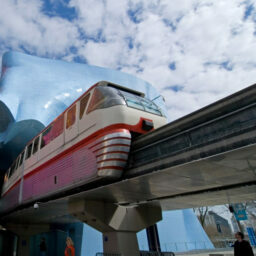 When the runs are open, the shuttle runs; it costs about $45 round trip. 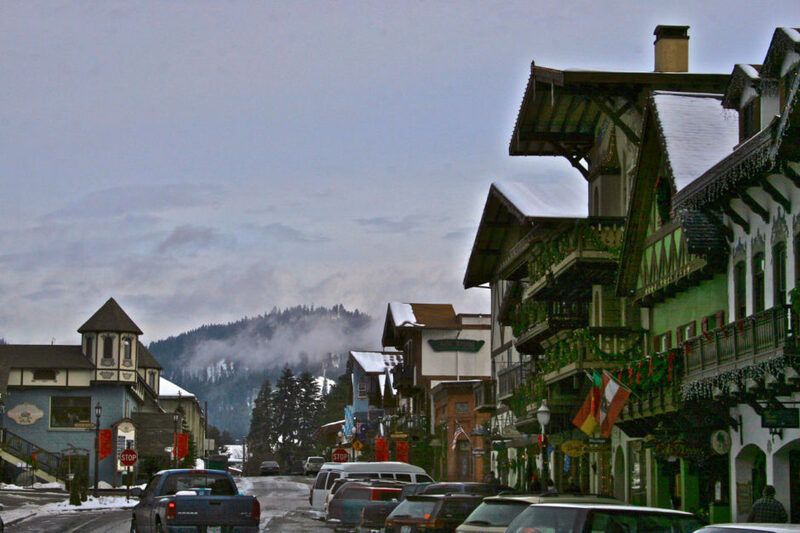 Donning lederhosen and feasting on schnitzel in a kitschy mountain village is what Leavenworth is best known for, but a day trip here is also an awesome way to experience the vast tracts of forest that surround the Cascades. Leavenworth is one of Washington’s most unique cities — starting in the 1960s, the town began to style itself in the theme of a Bavarian village, and, today, the transformation is complete. It sounds cheesy but it’s actually pretty incredible. All businesses within the city limits have to comply with the “Old-World Bavarian architectural theme code,” so you get some awesome corporate mutations — the hyper-Bavarian McDonald’s, for example. You need a vehicle to get to Leavenworth, unless you want to rent a private shuttle or take one exorbitant Uber ride. If you’re driving, you can either head straight towards I-90, which takes you up and over Snoqualmie Pass, or you can tack a few minutes onto the journey and go north towards Bothell and connect with US-2. Highway 2 is a super scenic drive that winds beside the Skykomish River for a good long stretch before it takes you up and over Stevens Pass — in the winter months, the ski resort here is an incredible place to ski / snowboard / snowshoe. In the summer, Stevens Pass is all about downhill mountain biking and hiking. Oktoberfest: Every October, Leavenworth throws an epic Oktoberfest celebration. There’s an excess of brass-band oompah music, sausage, and beer — exactly the things you want from Oktoberfest. Fill your stein and, on Saturdays at 1pm throughout October, watch Leavenworth’s mayor honor the Bavarian keg-tapping ceremony. Day hike: Leavenworth styled itself as a Bavarian alpine village for a reason: It’s surrounded by towering evergreen-clad mountains and sits beside the rushing Wenatchee River. It’s downright majestic. Bring hiking boots, or at least sturdy sneakers, so you can get out on some of the dozens of trails that are easily accessible from town. There are route options for all experience levels. The more you can be prepared, the more you can enjoy, so pack your day-hiking gear including water bottles, snacks, hiking poles, sunscreen, and a first aid kit. Check out a helpful list of trails at Leavenworth.org. It calls to you. From the deck of the Bainbridge Island ferry, it looms on the horizon. From the balcony of your downtown hotel suite, you can’t take your eyes off it. So get in your rental and make the pilgrimage to Mount Rainier National Park. The highest peak in the 700-mile-long volcanic Cascade Range, Rainier commands every view in a 100-mile radius and is hands-down my favorite day trip from Seattle. In three hours, if you hurry, you can be on a trail heading toward one of Rainier’s glaciers. The intrepid and able-bodied can hike to Camp Muir at 10,188 feet (read up and be prepared if you’re going to make this hike — it’s no joke and dangerous conditions are a given). If your adventures are keeping you below the cloud line, there’s still plenty to do and see in the park: guided walks, wildlife spotting, and snowshoeing, to name a few. Even if you just make the drive and hang out at the historic Paradise Inn, that’s still a day well spent. To reach the southwest entrance of the national park, drive south on I-5 to SR-512 (exit 127), east on SR-512 to SR-7, then east on SR-706 through Ashford to the Nisqually entrance. See old-growth trees: Inside the park, on WA-123 before Stevens Canyon Road, pull over and check out the Grove of the Patriarchs, a dense stand of thousand-year-old Douglas firs, western red cedar, and western hemlock. The trees are giant and the 1.2-mile hike is rated as easy. Reach the summit: Climbing any mountain is an inherently dangerous activity, and reaching the summit of Mt. 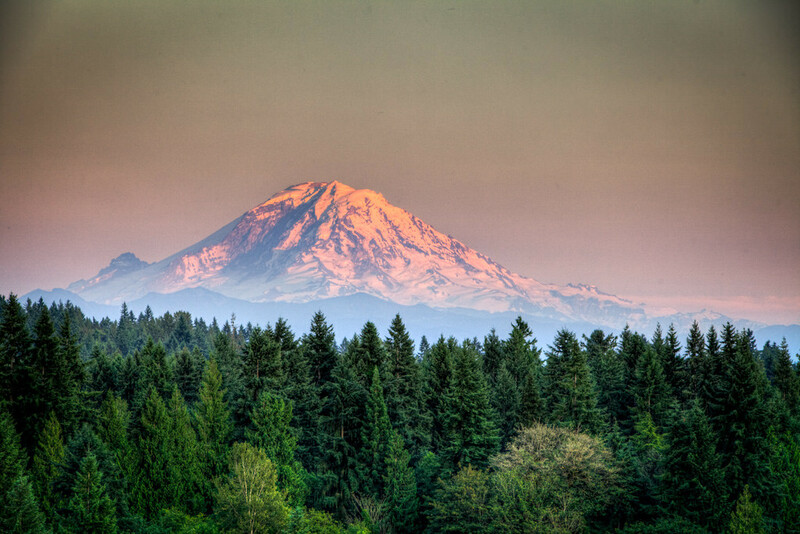 Rainier is no exception. Over 100 climbers and hikers have lost their lives on the 14,410ft dormant volcano. Extreme caution should be exercised at all times, and climbers without experience, training, or a professional guide shouldn’t even think about it. That said, summiting Rainier with a professional guide company such as RMI Expeditions could be a mountaineering dream come true. RMI has been leading climbing expeditions up Rainier since 1969. A 4-day summit climb will set you back a little over $1,000, but if you enjoy climbing and want to taste the rarefied air of the Rainier summit, this is a small price to pay for the (relative) safety bestowed by this respected guide company. Of all the possible port towns you could call upon from Seattle (Port Orchard, Port Angeles, Port Gamble, Port Ludlow, Port Hadlock, among others), Port Townsend is my favorite. 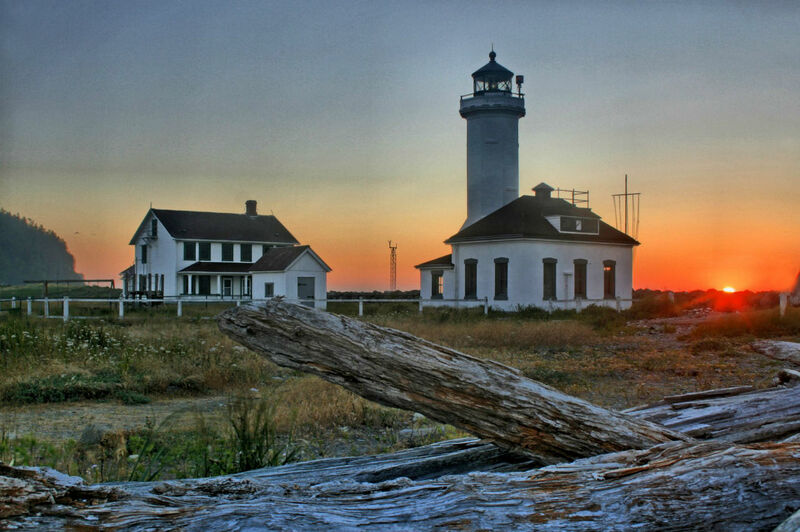 Jutting off a northeastern tip of the Olympic Peninsula into the waters of the Salish Sea, this city of 9,000 is as tranquil as it is scenic, with Victorian-era buildings and a strong maritime heritage on display. When you’ve had your fill of the waterfront cafes and galleries, head to Fort Worden Historical State Park to explore the WWI-era embattlements and bunkers that once protected Puget Sound from possible naval assault (though a hostile shot was never fired). The coastal park is beautiful and mysterious and well worth several hours of wandering. One moment you’re watching a bald eagle take wing from its treetop nest, the next you’re ducking into a concrete tunnel that once swarmed with artillerymen. And all within a few hours of your hotel in downtown Seattle! To get here you need wheels. You could make the drive south on I-5, cross the Tacoma Narrows Bridge, and drive north on Highways 16, 3, 104, 19, and 20 (it’s not as complicated as it sounds). 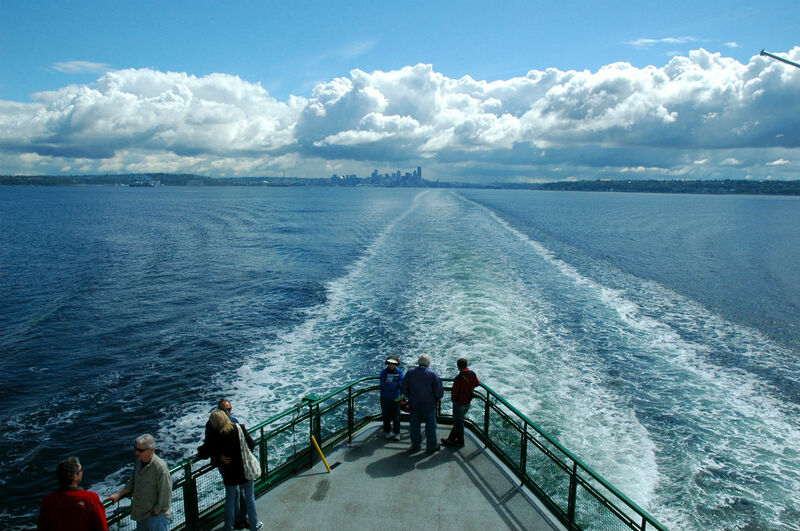 A better option is to cross the Puget either on the Bainbridge Island ferry or via the 40-minute drive north to Edmonds and its Kingston ferry. Taking the Kingston ferry is perhaps the fastest way to get to the northern tip of the Olympic Peninsula. If you want to take the longest and most scenic way there or back, hop on the Port Townsend-Coupeville ferry (vehicle reservations suggested) to Whidbey Island, drive the length of the gorgeous, green island, and then take the Clinton-Mukilteo ferry back to the mainland. In light traffic, the drive from Mukilteo to Seattle should take about 45 minutes. This round trip will make for a very long day but is a beautiful and rewarding journey. Ferry schedules are listed here. Whale watching: Seattle, Port Townsend, and all surrounding coastal cities sit on the shores of the immense and intricate network of waterways known as the Salish Sea. The Salish Sea has innumerable bays, straits, sounds, and inlets teeming with marine life. The most impressive might be the pods of orcas and gray whales that can be seen migrating and feeding at various times of the year. Port Townsend is smack in the middle of the yearly gray whale migration route from Baja to the Bering Sea. Book a whale watching tour in spring or summer with the family-run Puget Sound Express to see the whales firsthand. PSE also has tours leaving Seattle. 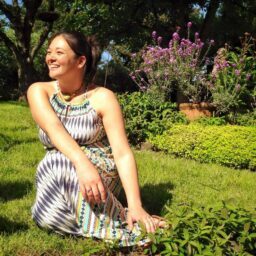 Appreciating the time and effort you put into your blog and detailed information you offer. It’s nice to come across a blog every once in a while that isn’t the same out of date rehashed information. Great read! I’ve bookmarked your site and I’m including your RSS feeds to my Google account. Thank you for your comments! We love sharing the ins and outs of our city and it’s great to hear that you’re enjoying reading about it!